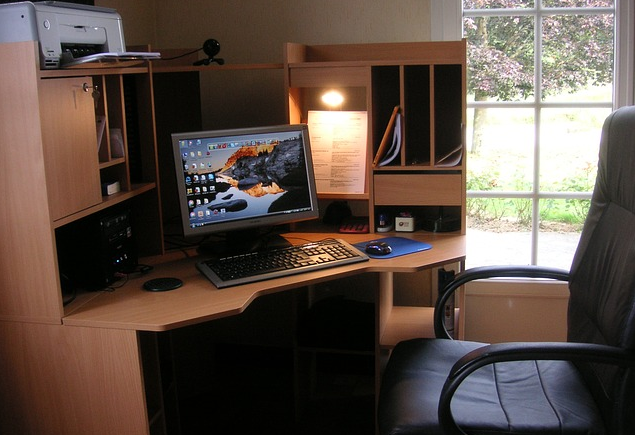 A short essay text consisting of some advantages and disadvantages of having a home office should be considered as an example of discussion text. This kind of text shows the pros and cons of certain issue. In this way, having office at home is advantageous and also disadvantageous. A discussion text is written to explore the two possibilities, one side and the other side. Discussion text give some positive opinion but it also show the negative opinion too. In the end, the writer will conclude with a certain recommendation. Now we will see the following short example of discussion text. Everybody like home sweet home however making office at home is possible and recommend. Of course home office will has both advantage and disadvantage. Therefore it is wise to consider the strengths and weaknesses to have a home office. Some people will agree that having office at home will make benefit. It saves time. We need no commuting which occasionally takes a long time. Besides we are free to set the work schedule. Having home office will save money as we need not to purchase or lease of office space from rent companies. What make it more flexible is that we can set part or all parts of our home just as a real office. What we need is only a wireless router to cover all parts of our house with Internet. We can run our business wherever part of house we want, from living room, bed room, veranda, etc even we can make sell or purchase by online shopping for things we need. Furthermore Working at home might reduce stress, effort and time and divert it to other more productive things because while working, we are close to our families. However making home as office also has some disadvantages. For some people, keeping the schedule is hard in flexible time. Such people type will harder if they are working just from home. There will no clear border between working and breaking. Working just from home also reduces the possibility to meet new people. It is true that computer and Internet connection possibly relate people every time and everywhere but we will interact with them in a dimension which is not real face. So considering carefully what we actually need in running our business is very recommended before choosing to have office at home or not. 1. Statement of issue; stating the issue which is to discussed. Of course home office will has both advantage and disadvantage. 2. List of supporting points; presenting the point in in supporting the presented issue. having office at home will make benefit. It saves time. We need no commuting which occasionally takes a long time. 3. List of contrastive points; presenting other points which disagree to the supporting point. making home as office also has some disadvantages. For some people, keeping the schedule is hard in flexible time. Again, we have to remember that a discussion text must be written in balance discourse. There is a positive side for the issue discussed it also analyze the negative one. In the end, we will find the writer’s recommendation after think thoroughly both the positive and negative side. If you find such elements in any text, the text is clearly as example of discussion text in English genres.